This craft is super easy for little kids to make! 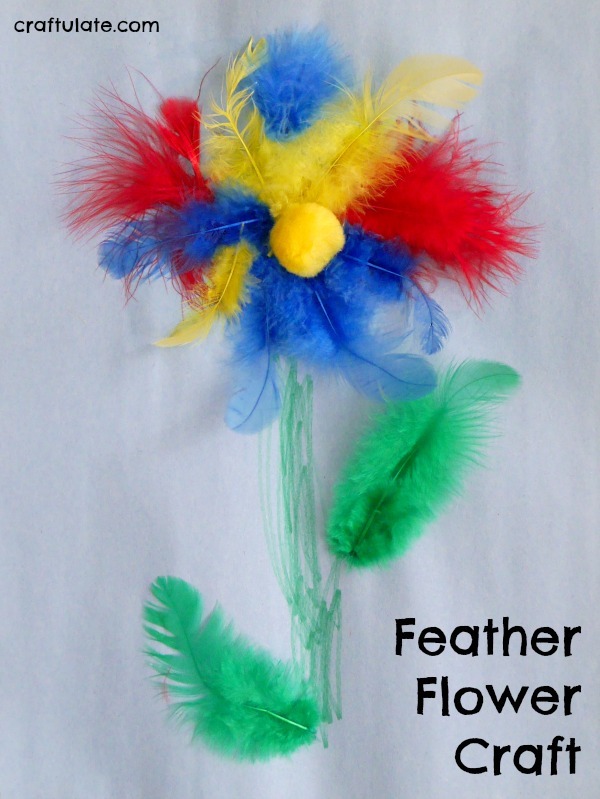 Just grab a handful of feathers (we received ours from our friends at craftprojectideas.com), some paper, a green pen or pencil, a yellow pom pom, and some glue! Start with drawing a green stem on the lower half of some construction paper. Then spread glue at the top of the stem. Add a bit extra for two leaves (also made from feathers). Depending on the age of your child, you might like to do this for them, or let them do it for themselves! 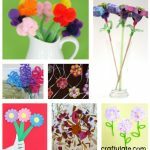 Invite them to add the feathers to the glue – preferably green ones for the leaves – but it’s up to them! Show them how to add the feathers in a ring to form petals, and that the feathers look much better if the “fluffy” end is on the outside of the ring! Finally, add some extra glue and place a pom pom in the center of the flower.